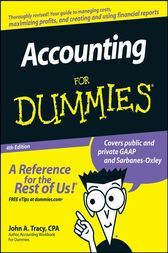 Financial Accounting ACG2021 SFCC Spring 2008 Chapter 6. In this chapter, accounting Professor Susan Crosson discusses Inventories, and in particular: Periodic FIFO. Part 1 of 8. Financial Accounting ACG2021 SFCC Spring 2008 Chapter 6. In this chapter, accounting Professor Susan Crosson discusses Inventories, and in particular: Periodic LIFO. Part 2 of 8. Financial Accounting ACG2021 SFCC Spring 2008 Chapter 6. In this chapter, accounting Professor Susan Crosson discusses Inventories, and in particular: Periodic FIFO LIFO Recap. Part 3 of 8. Financial Accounting ACG2021 SFCC Spring 2008 Chapter 6. In this chapter, accounting Professor Susan Crosson discusses Inventories, and in particular: Periodic AVERAGE. Part 4 of 8. Financial Accounting ACG2021 SFCC Spring 2008 Chapter 6. In this chapter, accounting Professor Susan Crosson discusses Inventories, and in particular: Perpetual FIFO. Part 5 of 8. Financial Accounting ACG2021 SFCC Spring 2008 Chapter 6. In this chapter, accounting Professor Susan Crosson discusses Inventories, and in particular: Perpetual LIFO. Part 6 of 8. Financial Accounting ACG2021 SFCC Spring 2008 Chapter 6. In this chapter, accounting Professor Susan Crosson discusses Inventories, and in particular: Estimates Gross Margin Method. Part 7 of 8. Financial Accounting ACG2021 SFCC Spring 2008 Chapter 6. In this chapter, accounting Professor Susan Crosson discusses Inventories, and in particular: Estimates Retail Method. Part 8 of 8.